Cedar Creek Lodges, located in the beautiful rainforests of Mount Tamborine, is quickly becoming recognised as the ultimate Gold Coast conference venue. Cedar Creek Lodges offers you and your colleagues a wide range of services including full conference facilities, luxurious accommodation and dining as well as action packed team building activities. Choose from one of their three superior Conference rooms that Cedar Creek Lodges offers all equipped with notepads, pens, spring water and mints. Whether you have a work team of 10 or 100, Cedar Creek Lodges can cater for all numbers with the choice of The Amethyst Conference Room, The Sanctuary Conference Room or The Miner’s Lantern Conference Room. 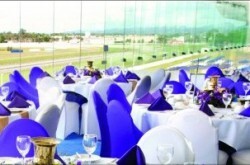 Mix it up this year and surprise your colleagues with the unforgettable conference venue. 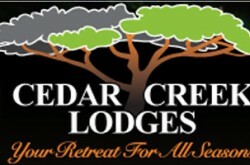 Cedar Creek Lodge offers an extensive range of corporate activities and team building exercises. You are sure to find the perfect activity for you and your colleagues with the choice of Adventure Parc, Laser Skirmish, Invigorating & Relaxing Sessions, Team Building Programs, Sunset Cheers and Evening Entertainment. Spend your nights dining at one of the five Superb Dining Venues and relax in one of Cedar Creek Lodges premium first class rooms, including Creek Lodges, Premium Rooms, Luxury Spa Rooms and Superior Rooms. Contact the Cedar Creek Lodges team today to request a quote or learn about their conference venue packages and specials.